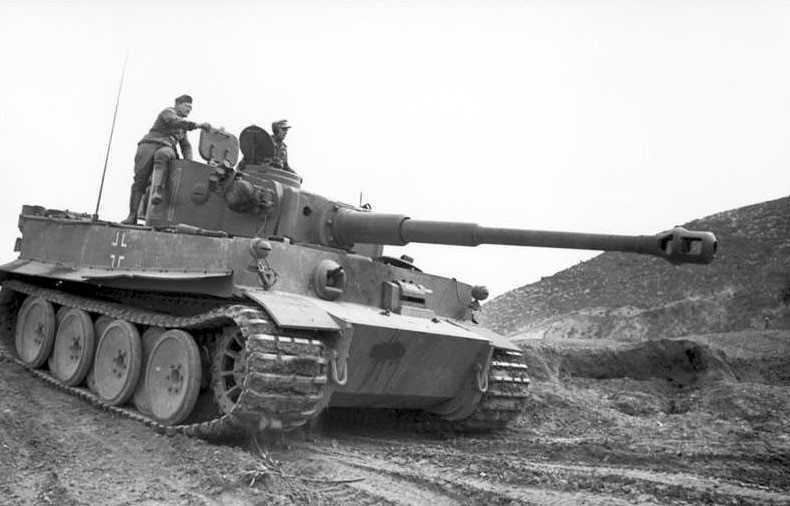 Notes Panzer Mk VI Ausf E (otherwise known as the Tiger I) was one of the most famous tanks used in World War Two, to the allies every German tank was a “Tiger” which is surprising given the fact that only 13.54 were ever built with production starting in July 1942 and ending in August 1944. The Tiger I had overlapping and interleaved road wheels and torsion bar suspension and this arrangement along with wide tracks help to distribute the weight of the tank. The main armament was an 88mm KwK 36 gun and two MG34s. The Tiger Is first saw action in late summer 1942 on the Russian front. They were issued to independent heavy tank battalions with both Wehrmacht and SS formations. Tigers went on to see service in North Africa, Sicily, Italy and France, with the remaining vehicles helping to defend Germany in 1945.